Environmental historian Adam Rome argues that before the planning began for Earth Day, 1970 environmentalism was not a movement in the United States (The Genius of Earth Day, 9). 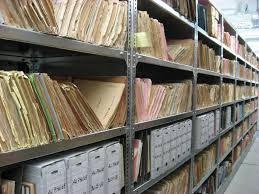 However, he, like Professor of American Studies, Warren J. Belasco, believes that the an environmental ethos existed within in various groups of the countercultural movements in the 1960s, which continued in the 1970s. In fact, Rome states that "the increasing overlap between countercultural and radical thinking was part of the larger trend that pollster Daniel Yankelovich termed "the new naturalism. ""(The Genius of Earth Day, 46). The new naturalism philosophy involved a wariness of unrestrained economic and technological growth for fear of its harmful impact on the environment. 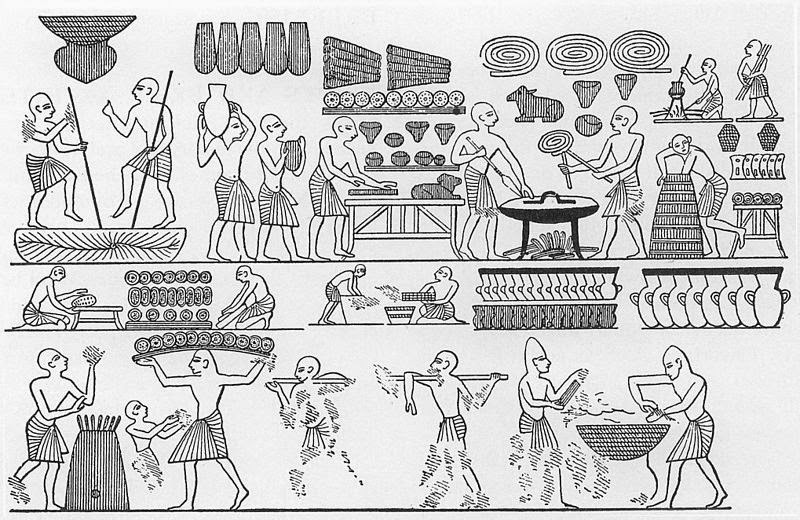 While individuals expressed these ideas in various ways, one of the most visible, then and even today, was a changing relationship to food. In Appetite for Change, Belasco explores this idea of food as medium. Food served a variety of purposes. It could function as the mode to persuade people to come to meetings for civil rights, anti-war, women's liberation, and other causes. An abundance or lack of food was a real issue embodied by those participating in various countercultural movements. 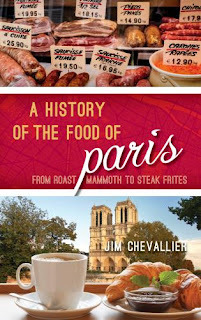 Food was a mode with which to explore issues of labor, class, pollution, health, gender, race, transnationalism, and animal rights. As part of "new naturalism," the idea of the goodness of "natural" foods rapidly spread. While the term "natural" could be co-opted by various groups from all sides of the political and economic spectrum from young hippies living on communes as part of the back to the land movement to major food co-orporations re-branding their own products in order to negate consumer pushback and public relations fall out, the legacy of natural foods, whatever their meaning, remains important today. In the 1960s and 1970s new businesses served to fulfill the desire for natural foods. Although food co-ops had existed previously in American history, especially as a way to increase the purchasing power of the black community in the early 20th century, the food co-ops of the 1960s and 1970s captured the imagination of white, middle class America, catering to people wanting to buy grains in bulk. Restaurants could serve a similar function, while offering a space for community formation. Alternative restaurants sold "natural" foods, often alongside a healthy serving of politics. Although you can look forward to a discussion of feminist restaurants and their relationship to environmentalism in my upcoming posts, as well as in the final version of my doctoral dissertation on the topic, today I am interested in discussing alternative restaurants as a whole. Many of these restaurants were vegetarian and collectively run. However their structures, menus, and political focus would vary. As is the case with the restaurant industry as a whole, some restaurants would only last for a few months whereas others survived the test of time. The Moosewood Restaurant in Ithaca, New York is one of the most famous of these restaurants. Founded in 1973, Moosewood is a collectively owned business with nineteen members who share responsibilities and participate in the various jobs necessary to run it. According to their own website, Moosewood "has been acclaimed as a driving force in the world of creative vegetarian cooking. Moosewood was named one of the “thirteen most influential restaurants of the 20th Century” by Bon Appétìt magazine. We started in an era when many alternative businesses began, and we feel incredibly grateful to have endured, thrived and had a positive impact." So how did this restaurant in Ithaca have such an impact? In short: literature. Moosewood has published 13 cookbooks. In 1974, Mollie Katzen hand wrote, illustrated, and locally published a spiral-bound notebook of recipes of vegetarian dishes from the restaurant. In the past 40 years it has sold millions of copies and is listed by the New York Times as one of the best selling cookbooks of all time. In Katzen's own words about the book, the cookbook grew out of a loose-leaf binder filled with notes to help keep track of what they were cooking, as no one in the collective identified as a culinary professional but rather as a group of friends "taking turns in the kitchen cooking heartfelt versions of the food we loved, beginning with family favorites, ... [and] also greatly inspired by international dishes as remembered from various world travels" (The Moosewood Cookbook 40th Anniversary Edition, ix). Speaking to the idea of naturalness, Katzen stated that "we cooked simply and with passion, cheerfully pushing back on the traditional American dinner plate of the 1950s and 60s- the model that fed our childhoods. Now in our young adulthood, we wanted to redefine and self-define, and this was a perfect arena in which to do so" (The Moosewood Cookbook 40th Anniversary Edition, ix). 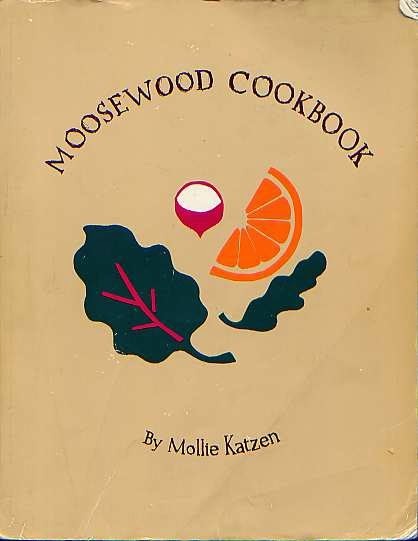 As a result of the book's success, Moosewood's realm of influence extended far beyond upstate New York. Even now, when the cookbook market is saturated with titles about vegetarian cooking, The Moosewood Cookbook remains a classic. I remember many of my friends arriving at college with a copy in tow--a parting gift from parents seeing it as the essential way to guide their children's nutritional and, more generally, life choices. I look forward to sharing these recipes with you in the upcoming weeks as my peers did during my days at Wesleyan University.